The two photos below were sent in by Kevin Sims, a fan of FOTWW. 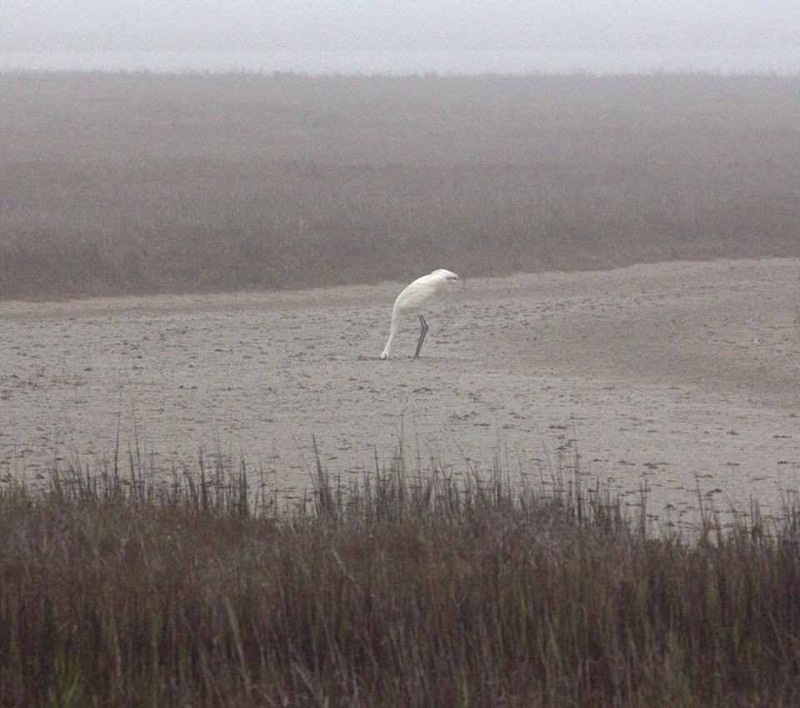 The two photos were recently taken on a foggy morning at Aransas National Wildlife Refuge and show one lone Whooping Crane foraging deep in the mud for blue crab. After a short time, some determination, and muddy faced , the whooper is finally rewarded with a blue crab for its meal. By the size of the crab, it might be safe to say that the hunt was worth the effort. That is one large blue crab! A fine reward. Photo by Kevin Sims. It won’t be long now and the “wild ones” will be thinking about returning to WBNP and nesting. Some of their cousins, the sandhill crane have already started their mirgration. At this time, the wild ones are still enjoying the blue crabs that, thankfully, have been plentiful this winter at ANWR. 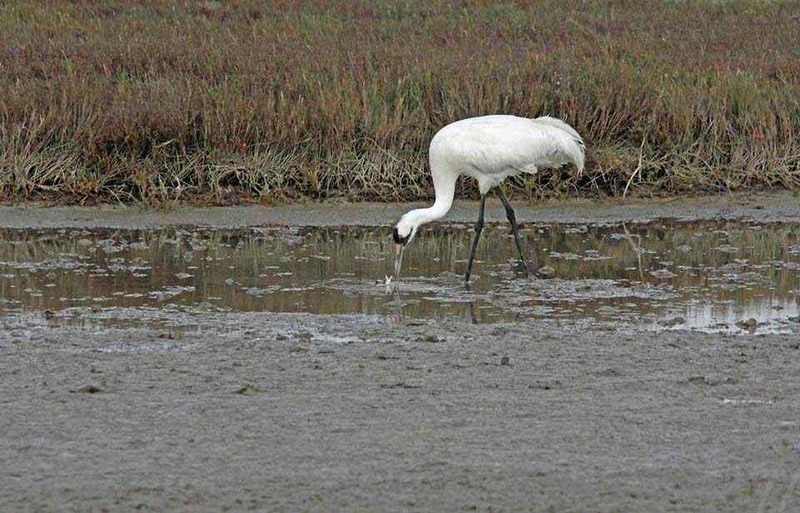 Why are blue crabs so important to a Whooping Crane’s diet? 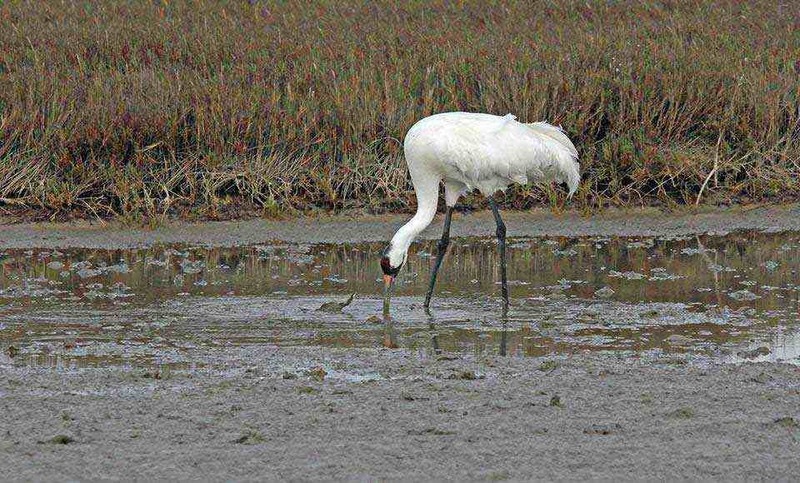 The Whooping Cranes require blue crabs to build up their body resources and reserves for their long journey home and for successful nesting. Without a sufficient supply of blue crabs to eat during the winter, their chances of a successful nesting season and raising chicks is drastically reduced. Blue crabs are rich in protein but more importantly, the meat and shells are highly rich in calcium, necessary for strong bones and also for forming eggshells. 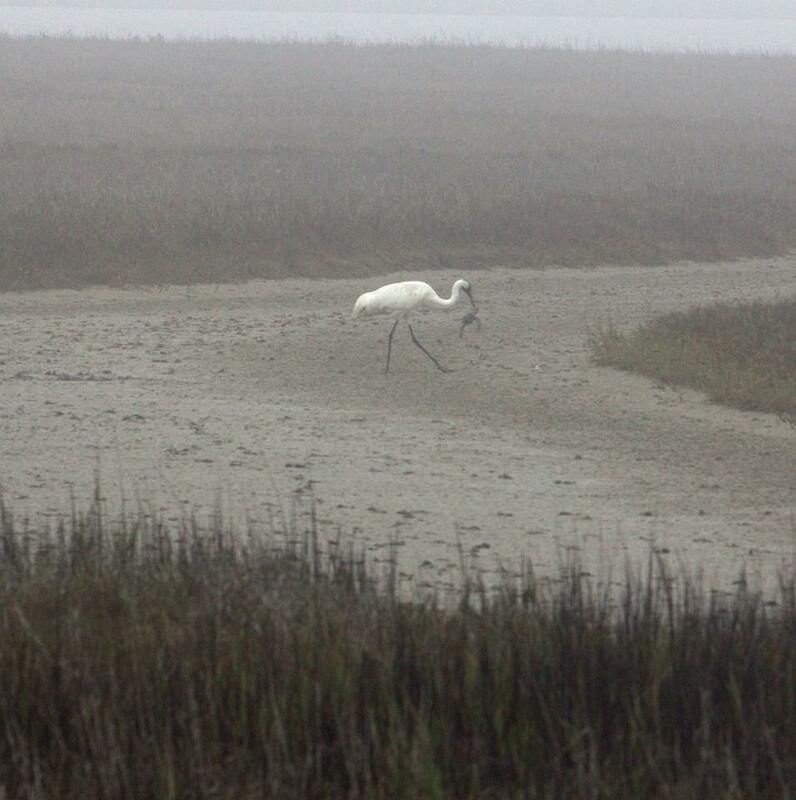 In the photo below, you can see a Whooping Crane foraging for blue crabs as one looks on. Photo Courtesy of Kevin Sims. 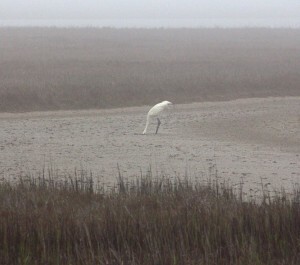 With those long pointed bills, the blue crab below was no match for the whooper. Judge Deals Blow to Keystone XL Pipeline. LINCOLN, Neb. (AP) — A Nebraska judge on Wednesday struck down a law that allowed the Keystone XL oil pipeline to proceed through the state, a victory for opponents who have tried to block the project. Lancaster County Judge Stephanie Stacy issued a ruling that invalidated Nebraska Gov. Dave Heineman’s approval of the route. Stacy agreed with opponents’ arguments that law passed in 2011 improperly delegated the decision-making power to Heineman to give the company eminent domain powers within the state. Stacy said the decision should have been made by the Nebraska Public Service Commission, which regulates pipelines and other utilities. The lawsuit was filed by three Nebraska landowners who oppose the pipeline. Domina said the ruling means that the governor’s office has no role to play in the pipeline, and decisions within the state must be made by the Public Service Commission. The decision on a federal permit still rests with President Barack Obama. The ruling could cause more delays in finishing the pipeline, which would carry oil from Canada to Texas refineries. Phone messages left with pipeline developer TransCanada were not immediately returned Wednesday afternoon. Associated Press writer Josh Funk in Omaha, Neb., contributed to this report. Two whooping cranes feeding on crabs. What a wonderful way to start the day at Aransas NWR. 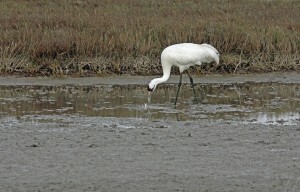 Video courtesy of Kevin Sims of Aransas Bay Birding Charters.